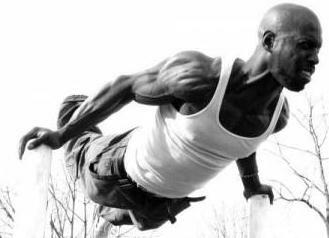 Lately, bodyweight exercises and workouts have become the “new trend” in the fitness society.The fact that you don’t need any equipment makes bodyweight workout routines even more popular. 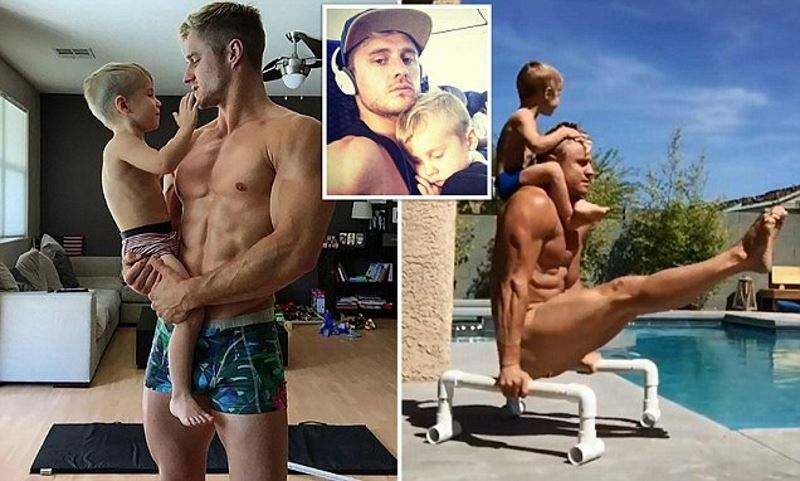 There is no excuse anymore, anyone can get in shape in the comfort of their own home, without paying expensive gym memberships. 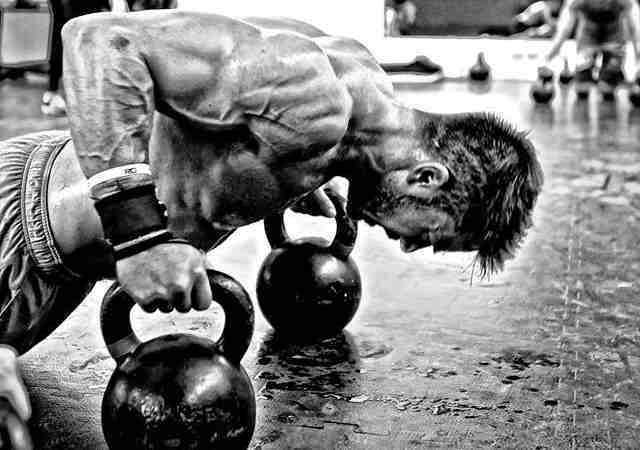 Also because most people are always short on time, these exercises are combined in a circuit workout to give you the maximum results in the shortest possible time.If done correctly, the whole workout will last only about 10 minutes or less. 1. 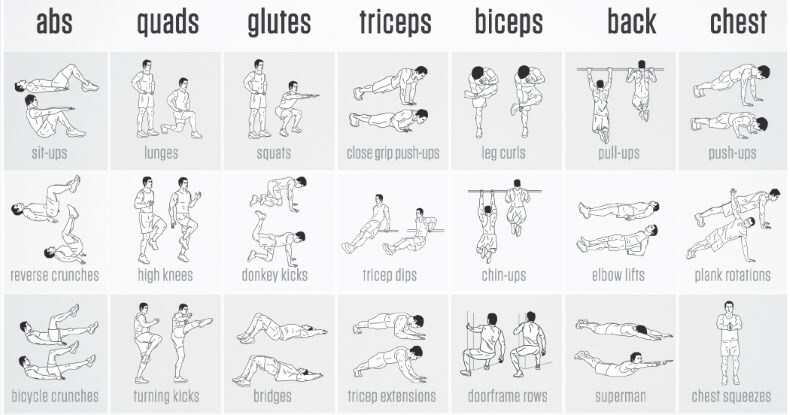 Circuit training and interval training allows you to implement a lot of exercises in a short period time. 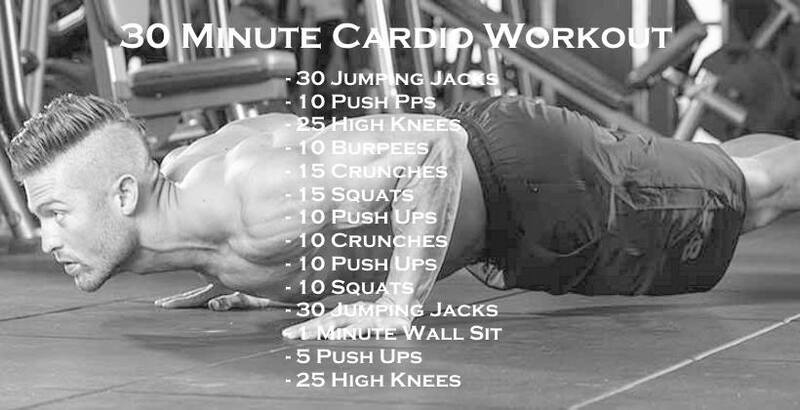 This action will keep your heart rate high during the workout and increase your metabolism to burn fat after training. 2. PHA training, or alternating between upper body and lower body exercises, makes a great cardio workout because the heart pumps blood throughout the body at a higher pace. After performing each exercise for 20 seconds of time, rest for 20 seconds and proceed to the next exercise. You are going to complete the circuit two times. Do as many repetitions as 20 seconds allows. Perform each exercise, for 20 seconds, then rest 10 seconds and move to the next exercise. 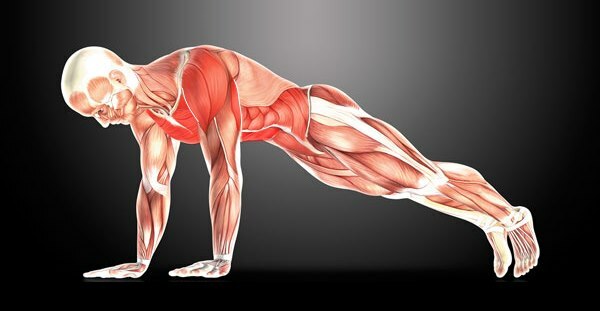 You can do this bodyweight routine every other day if you are a beginner, and every day when you become more advanced.And believe me when I say you don’t need any expensive equipment to get in shape. The 20 Minute Home Workout! Thanks. Going to put these 2 days a week with my 3 day a week full body workouts. Don’t have a lot of time right now for more time at the gym. The other option is to try chin ups or pull ups with help from a training partner. Someone should push you slightly on your legs until you are strong enough to do them by yourself. Or you can negative pull ups: stand on something like a chair so that the pull up bar is at the same height as your chin. Position yourself in an contracted pull-up position and from there slowly lower yourself down. Do this 8-10 times. Try to complete the negative part in about 2-3 seconds. You can also get different level resistance bands to hang from the bar which you can rest your knees or feet on and the band will help give you the extra pull upward that you need.